Our Bar Mitzvah invitations will help to set the tone for this most important milestone in your son's life. Guests will know what to expect on the special day. Visit our full collection of Bar Mitzvah Invitations to find the design shown (or another option) and celebrate your young man being called to the Torah. At Senapa Cards, you can choose different colors, fonts, card shapes and enclosure cards to create an invitation suite that will surely impress family and friends. We have a plethora of invitations to choose from so it's easy to find just the right one to showcase your son's personality. Is he a sports buff? We have sports bar mitzvah invitations for players and fans of baseball, basketball, and soccer. We also have a collection of invitations with a sophisticated aesthetic to represent the responsible young man that he's becoming. So, whether your event will be formal or informal, we've got you covered. If traditional bar mitzvah invitations are what you're looking for, we offer designs that feature the Tree of Life, Star of David, Torah, and Talit. If a more contemporary design would best represent your son, you'll find invitations that feature geometric designs and modern interpretations of traditional Jewish symbols. Your son's favorite color(s) and hobbies. The invitation should capture as much of his personality and taste as possible. If budget is a factor, how many guests do you plan to invite? Choose an invitation design that will allow for covering your guest list AND staying within budget. What activities will take place at the celebration? 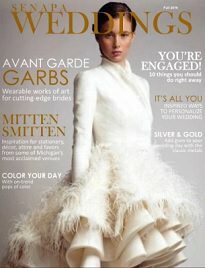 This will set the tone of the event and help in your selection of the appropriate invite. 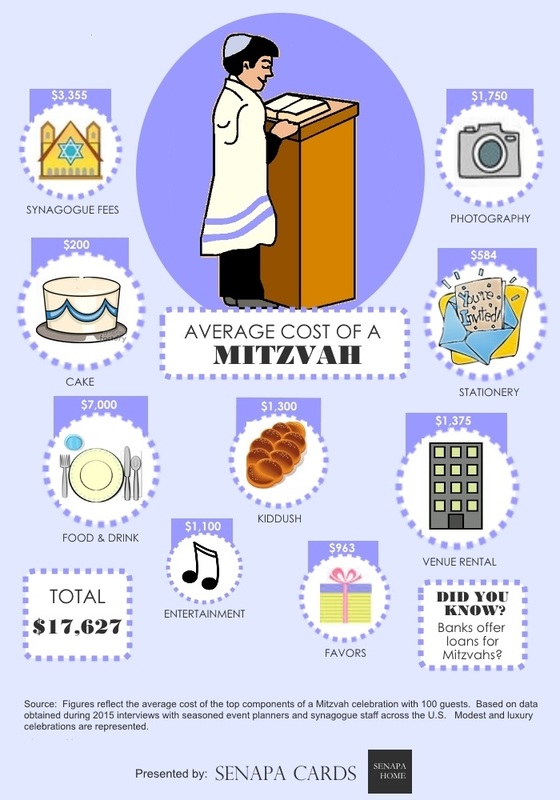 To aid in planning the entire Bar Mitzvah celebration, the infographic below depicts the average cost of a Bar Mitzvah. It's not hard to see why some parents start planning for their son's Bar Mitzvah well in advance (some even start to plan when they're tots!). A full celebration can cost as much as a wedding.